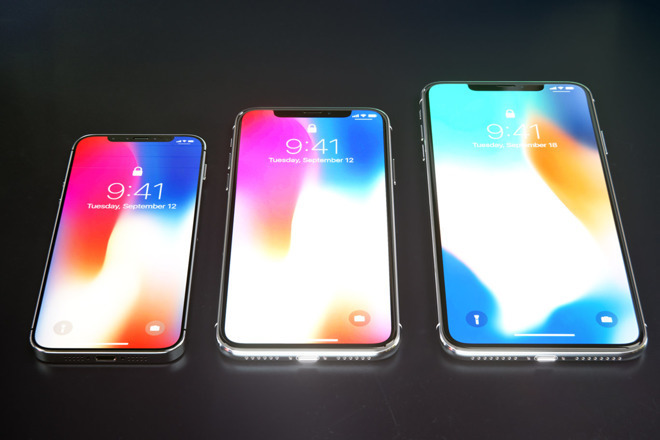 Apple is reportedly handing out display orders for its next-gen 2018 iPhone lineup, which is widely rumoured to include two OLED models, a 5.8- and a 6.5-inch model, as well as a 6.1-inch LCD version. According to a new report from Chinese-language website China Times (via Apple Insider), Apple will tap Samsung for its 2018 OLED iPhone displays, just like it did for last year’s iPhone X. At the moment, Apple relies upon OLED displays from both Samsung and LG, the latter of which provides the display technology for the Apple Watch. Earlier reports claimed that LG, Sharp, and Japan Display are all in stiff competition to gain Apple‘s OLED iPhone display business this year, although none of the firms’ production capabilities have yet to be brought to their full potential. According to the report, LG, who is believed to have the largest potential as Apple’s secondary OLED iPhone display manufacturer, is hoping to reach full production capacity by 2019. The report echoes an earlier rumour which suggests that Apple could have several iPhones in the works of different screen sizes. One of which will be a 6.1-inch iPhone, while the others are said to be of the 5.8- and 6.5-inch variety. According to the report, the 6.1-inch model will be of the LCD variety, and like its OLED siblings will feature an edge-to-edge display and Face ID technology. Finally, the report claims that Japan Display will be in charge of supplying the 18:9 LCD panels for the 6.1-inch iPhone variant, with LG helping out with the slack. Additionally, General Interface Solutions and TPK Holdings are both expected to supply the touch panels for the same phone. Yesterday, KGI Securities analyst Ming-Chi Kuo said Apple will discontinue the first-generation iPhone X when the next-generation iPhone lineup launches later this year, instead of making the model available at a cheaper price.